I haven't written much here in over a week. I'm directing a show for the Bloomington Playwrights Project, and it's been a lot of work. I've barely been able to touch my rocket projects in the last week! But I've had a couple of really great things happen, so I wanted to share them here. The first is that I'll be teaching a rocketry camp this summer! 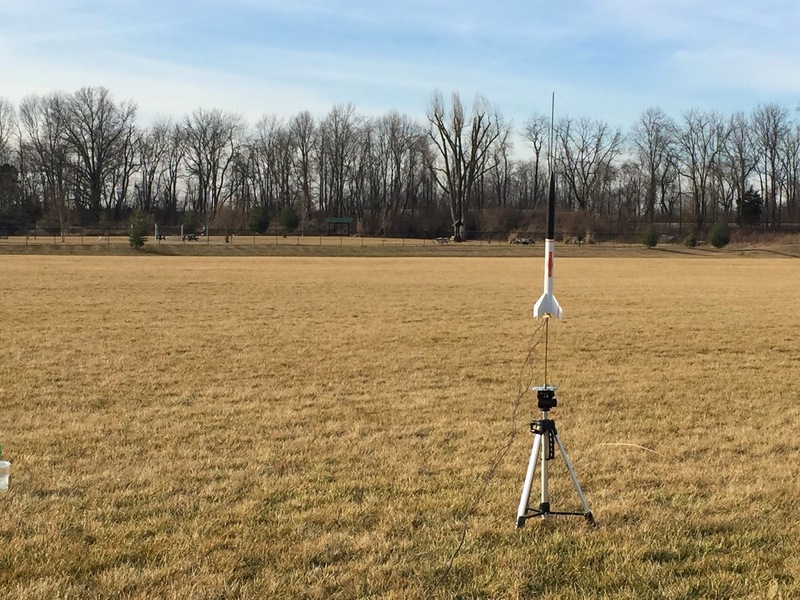 The Bloomington campus of Ivy Tech Community College has a College for Kids series of classes every summer, and model rocketry is apparently the most popular. 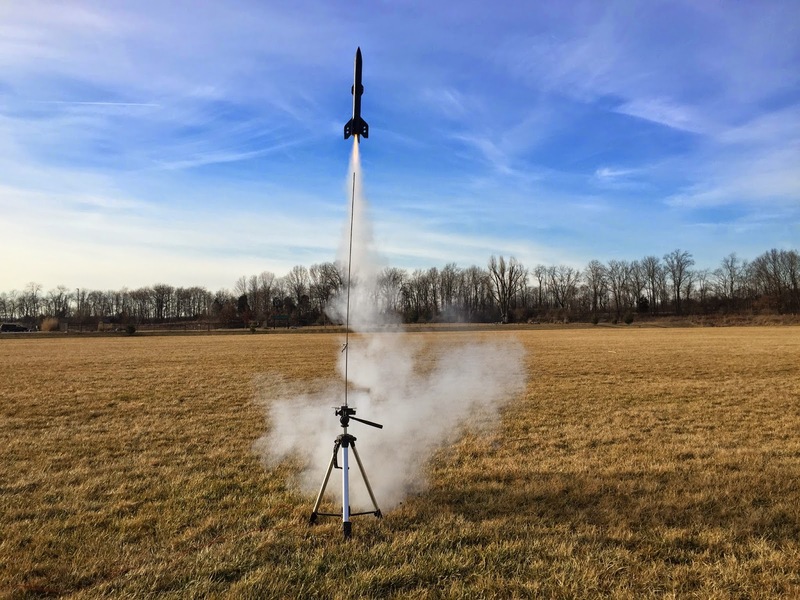 I'll be leading a group of kids aged 11-14 through a week-long rocket building project this June, and we're going to launch at the end of the week! If any of you College for Kids students or parents are reading this, we're going to have a blast doing this, and I'll post more here soon about the class. This means that within seven months of becoming a rocketeer, I've landed a rocketry job! It shows that if you're serious about rocketry, you can learn a lot and then go and share that knowledge with other people - which makes it more fun. I have a lot of choices to make in the next month about what we'll do and what we'll build, but I've been actively pursuing the rocketry camp for a few months now, and I now have official confirmation. The second exciting piece of news is that I'll be moving to Boston later in the summer! My girlfriend got a great job at Boston University, so we'll be going out there. We're even looking for a place with a little extra space for me to build and store my rockets. She's awesome. 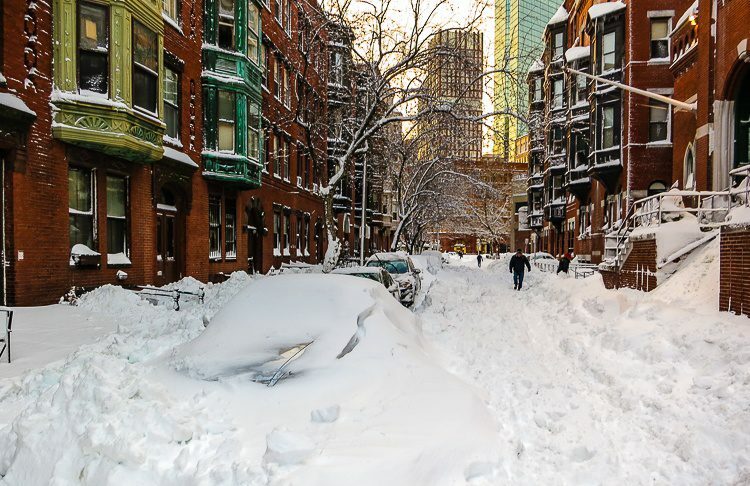 Now, I know that Boston is currently buried under a ton of snow right now, but that's no discouragement for me. I like snow. Yes, it's deep. But isn't it beautiful? 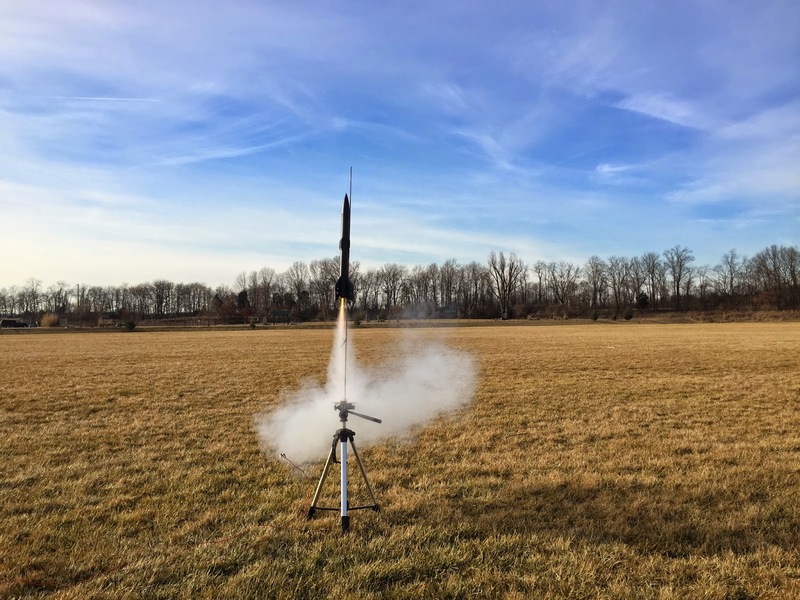 And there's a lot of exciting rocketry stuff going on in the Boston area and New England in general. 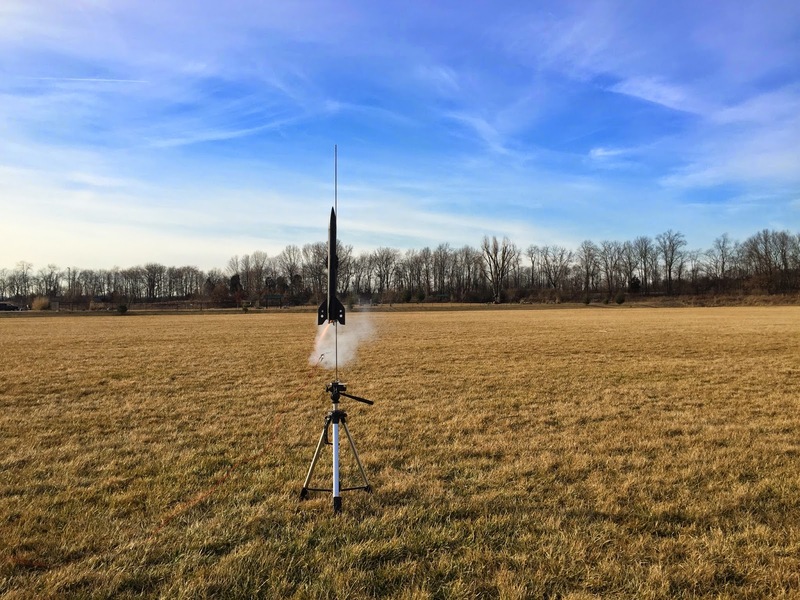 I hope to go join CMASS - one of the country's great rocket clubs - and to check out the great clubs in the neighboring states as well. I'm busting through my skin with excitement about this. Apart from two years' living in France and one year in Oviedo, Florida, I've not lived outside Indiana, and I've always wanted to see what it's like living in another part of the country. I love Boston, and it's a great city, I can't wait to get out there. Does this mean that this will be the only and final rocketry class I'll teach at Ivy Tech? Not necessarily. I'm hoping to drum up some interest among not only the kids in the class, but among parents as well. 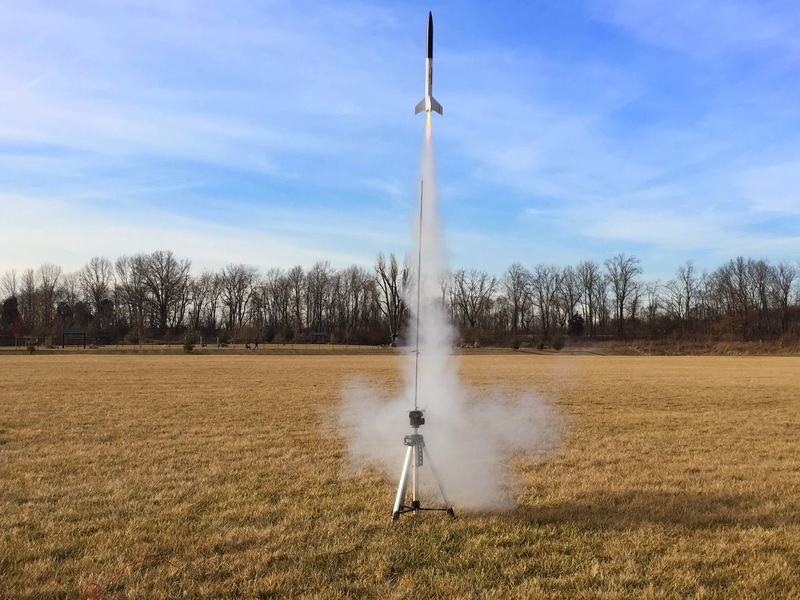 People who aren't involved in rocketry don't realize it, but the hobby has really grown up in the last twenty years. 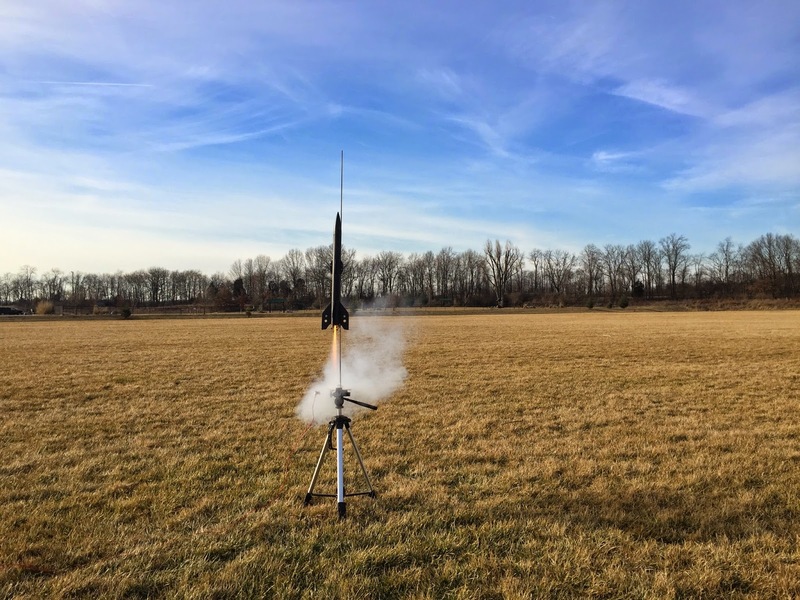 I don't know the actual statistics or demographics, but from my many hours spent online talking to other rocketeers, I get the feeling that, these days, there are a lot more adults building and launching rockets. 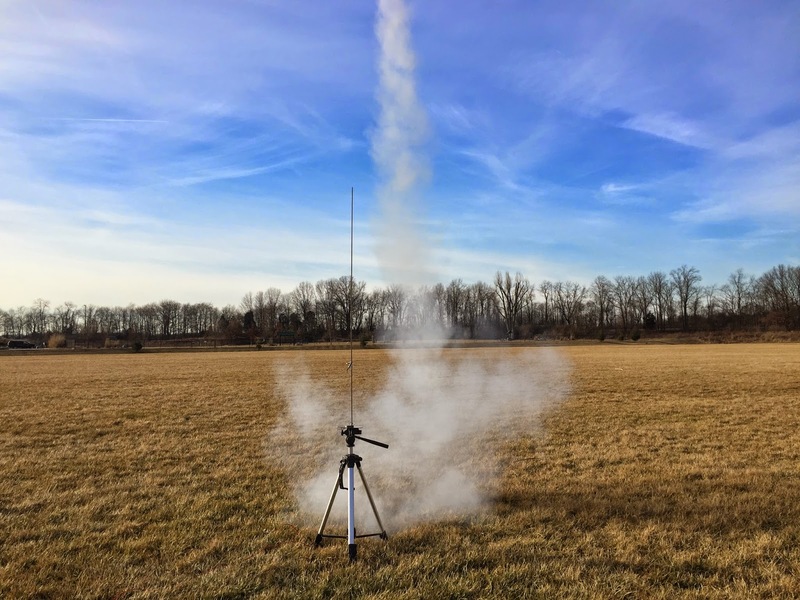 With the advent of mid- and high power rocketry, there's lots of room to grow with the hobby. 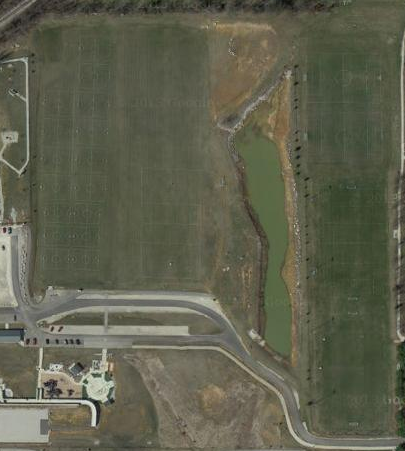 So, I'm hoping to get some of the kids' parents involved in rocketry here in Bloomington, and who knows - perhaps a local club will sprout up. I may come back for several weeks to teach a rocketry course for adults. I keep learning more and more about this exciting hobby, and all I'm really looking for is someone with which to share what I've learned - and then go out and launch some rockets. 1. Any article on the Internet called "Make a ROCKET - out of MATCHES!" 2. Any article on the Internet called "Make a ROCKET - with SUGAR!!" 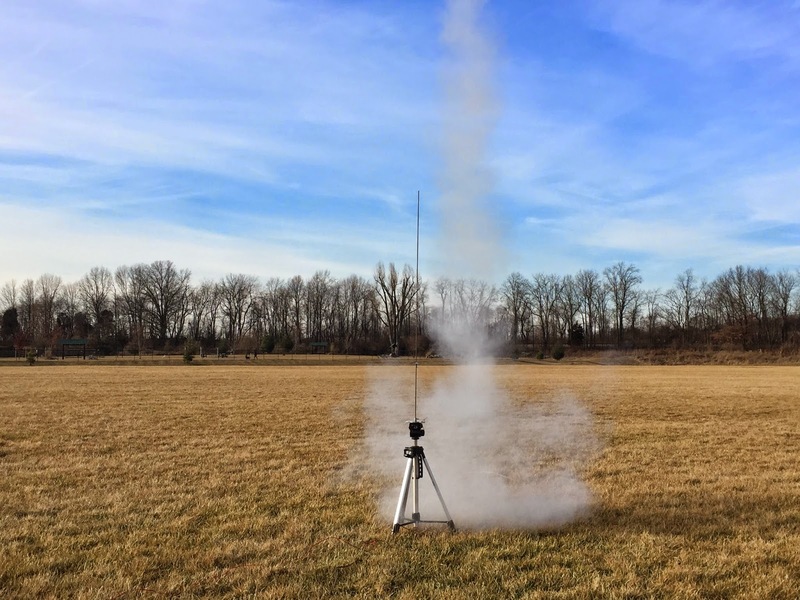 That last one is pretty cool - although the NAR keeps removing it from their Facebook page any time it gets posted, because it clearly violates both the Model Rocket and High Power Rocket Safety Codes. Anyway, people know I love rockets, but they don't really know what I do, so any rocket-related link ends up on my page. Multiple times. Per week. I lost my voice a few days ago, and was barely able to speak a word for about two or three days. Yesterday, I sounded like Batman. Today, I woke up speaking like the guy from Sling Blade. Don't worry - I am now on medication. The hardest part about this is that I've been too tired to work on rockets most days. However... One day last week, I felt a little better, and got a surprising amount done. I primed the Trident A, my three-motor cluster scratch build. I also sanded the plastic ridges - or flash - and applied plastic putty to the nose cone. Once this is sanded and painted, you won't see the seam. I sanded the nose cone of the Sounder I - the tiny, super high-flying rocket I designed on a whim a few weeks ago. 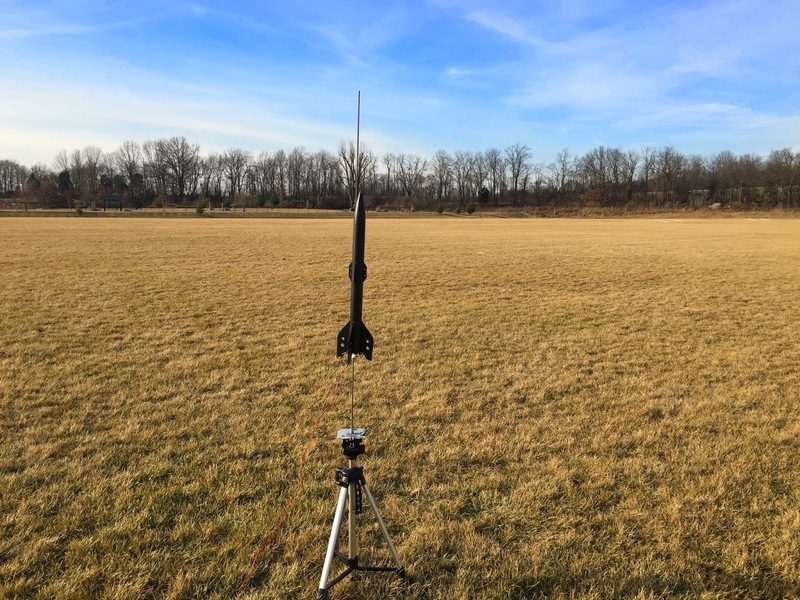 I just wanted to see how high I could get a little rocket to go by tinkering in OpenRocket. This one will go high and fast, and if I add a booster stage to it, it'll go even higher and faster - up to 3500 feet at Mach .62! Both Trident A and Sounder I - especially Sounder I - will need added nose weight to be stable in flight. For that, I'll add some clay to the nose - 5 grams in the case of Trident, and more in the case of Sounder. So I picked up a little scale to measure components - including fins, motor hooks, payloads - and clay for nose weight. This one is small - too small to weigh an entire rocket. But it's accurate to a tenth of a gram. There were scales accurate to a hundredth of a gram. 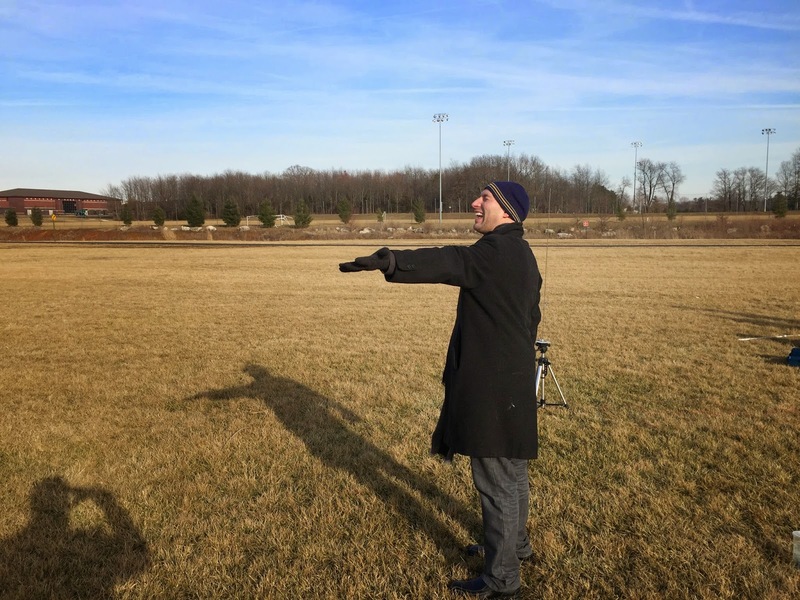 That might be useful if you were using a simulator to determine potential performance, and wanted extreme accuracy, or if you were doing competition rocketry. But this one was less than $8, including free shipping. So it's good enough for my purposes for the time being. Next, after reading something on The Rocketry Forum, I decided I wanted to see if I could fill fins with CA (for n00bs, I mean see if I could make the wooden fins smoother by covering them in cyanoacrylate - super glue). I tried this once before on my Estes Hi Flier, but it didn't turn out great. Either I used too little CA, or sanded them too little, or too much, or used the wrong primer. Extreme closeup of the Hi Flier - not terrible, but you can still see some wood grain. In any case, some people seem to have good success with this technique, and I get a little tired of using wood filler sometimes - it always takes me at least three coats of filler before I get a finish I like, and that's a lot of drying time and sanding, and half the time I still notice flaws once I start priming and painting the rocket. I had some fins lying around from a rocket I never finished - the Ceres B booster from the book Make: Rockets: Down-to-Earth Rocket Science by Mike Westerfield. finned version can be overstable - especially with a heavy payload on top. I had a problem with my first build on this, and in the end, I decided to make the Janus II two-stage rocket, and stick the payload from the Ceres on top of that. Anyway, I grabbed a tube and started gluing on fins. I figured if the filling technique worked, I'd just make the rocket. Then I decided why not just make the rocket anyway? I recently lost three rockets, and this will be a nice big one with an E motor. Even if the finish isn't perfect, I'll still have a rocket that should fly well, and look pretty cool. So I glued on the fins, without even bothering to fill in the body tube spirals - which is something I always do. But I'm going to experiment here. I'm going to fill the fins with CA and prime the rocket with filler primer, and see how good that combination is at covering flaws. I'm getting better at using the guillotine fin jig. Then I started playing around with some of the rocket parts I had lying around. I got some potential new ideas just sticking a transition and more tubes on top of the Ceres B. Adding the Sounder I on top make it kind of look like a sounding rocket scale model. Of course, this rocket was designed to carry the ICU2 camera payload bay, seen here. I included a standoff for the launch lug, so that I can use this payload. I even thought how easy it would be to stick three tubes on the sides between all the fins - external motor pods! Then I'd have a four-motor cluster rocket, one with a lot of different potential cool looks! 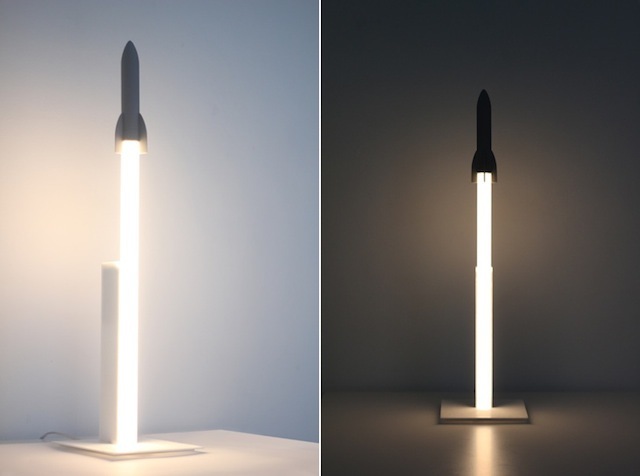 As long as you design your rocket so that it's stable, the looks are kind of up to you. The design possibilities are kind of exciting. Finally, I started one of my big rockets: the Estes Partizon, a Pro Series II rocket, which I got during the Estes holiday sales. I picked this rocket to do first, I guess, because it was the one I was least excited about, so I wasn't too worried about messing it up. I can't tell you why I wasn't as excited about it - maybe it's the Estes suggested paint job, a kind of ugly purple and orange I find rather dull. But the thing about building rockets is that you can make them any color and pattern you want. Of course, once I start building a rocket, I am really consumed by that rocket, and devote lots of care to it. This one is freakishly tall for me - 56 inches! That's only 4 inches shorter than my mother... Now I have to pick a color scheme. I'll post pictures of the build soon. I haven't blogged in a week, so I wanted to let any regular readers there may be what I've been up to. I have a couple pieces of exciting news coming up. Stay tuned! [EDIT] Oh, I nearly forgot! I emailed Estes about the wonky fin on my Nike Smoke, and they got right back to me. They're sending me a new rocket, and I don't even have to send the original rocket back. So, I guess I get to keep that for spare parts. So, I'm under the weather. Thought it might be flu, but perhaps just a bad cold or something. In any case, I've spent hours in bed since Wednesday, when I woke up with a fever, chills and aches.. I thought I wouldn't be able to get any rocket building done in this condition. I don't like to build when I'm excessively tired - it makes me sloppy. But I had time on my hands, so I chipped away at a couple of projects. The Trident A cluster rocket is nearly done. The Trident A has a cluster of three motors, with exposed motor tubes, for awesomeness. This was the very first rocket I designed, a few months ago. Building it was much easier than I'd thought it would be, and I'm sorry to say that I really didn't take any pictures of the process. I thought this would be a rocket I could easily mess up, but it hasn't been bad at all. sure how I'm going to get these colors where they need to be and nowhere else! I wanted to start building yet another Cosmic Explorer with an E motor mount after losing my previous one, but I realized I didn't have enough centering rings. I'd buy them from JonRocket.com, but in order to justify the shipping, I like to buy a bunch of stuff at once. I also received some Quest Q2G2 initiators in the mail! For n00bs, let me explain the significance of these. Q2G2's are igniters for black powder motors, just like the ones that come with your Estes motors. But they're made differently. For one thing, they're insulated, so they won't short out at the launch pad. More importantly, they are low-current igniters, which means they take less electric current to get them to fire. In fact, an Estes launch controller can't be used with them, because they'd fire as soon as you put in the safety key. Why would you want that? Because the Q2G2 requires less current to fire, they light up almost instantaneously, which is very important when launching a cluster rocket - you want all the motors to ignite simultaneously, or the rocket will take off with only some of its motors firing. But most significant of all is that these have been off the market for months! Possibly since I first got into rocketry, possibly longer. All I know is that I seemed to have just missed the boat on these, and just when I really started getting excited by the idea of cluster rockets. 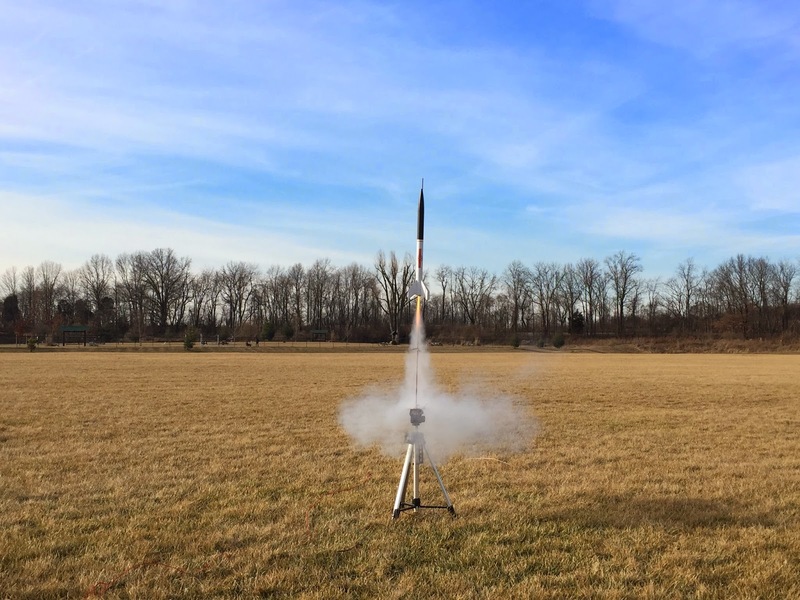 To date, I've only done one cluster launch - my Quest Magnum Sport Loader, launched with Estes igniters. That was fine - it's only a two-motor rocket. But reliable ignition is the biggest issue with clusters, and the more motors you have, the more igniters, the trickier it gets. I'm so glad I have these! BTW: I got these from BuyRocketMotors.com, a site to bookmark. They specialize in high power motors, so if you're new, you won't need them for a little while. But you'd be surprised how quickly people go from Skill Level 1 Estes kits to high power rocketry. I accessed it by going first to brm.therocketryshow.com. 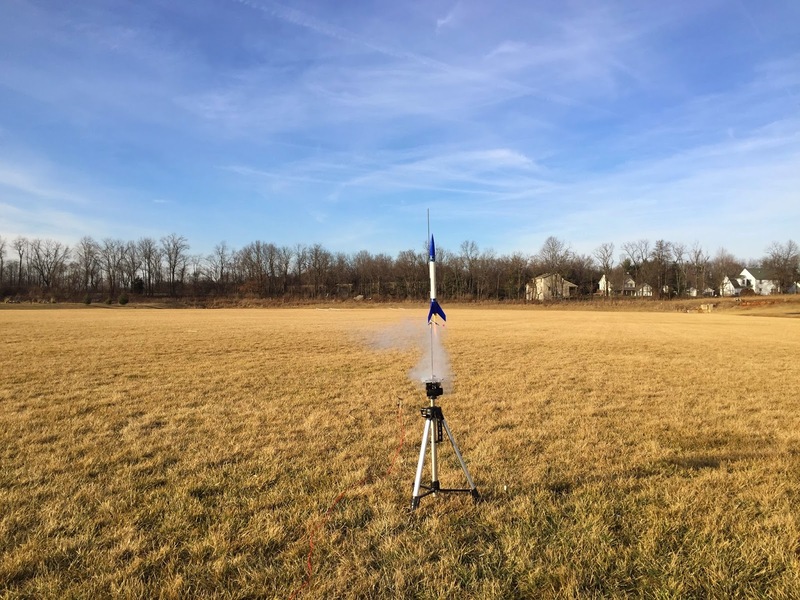 The Rocketry Show is a podcast you should check out - whether you're a beginner or not - run by a couple of guys from Ohio. 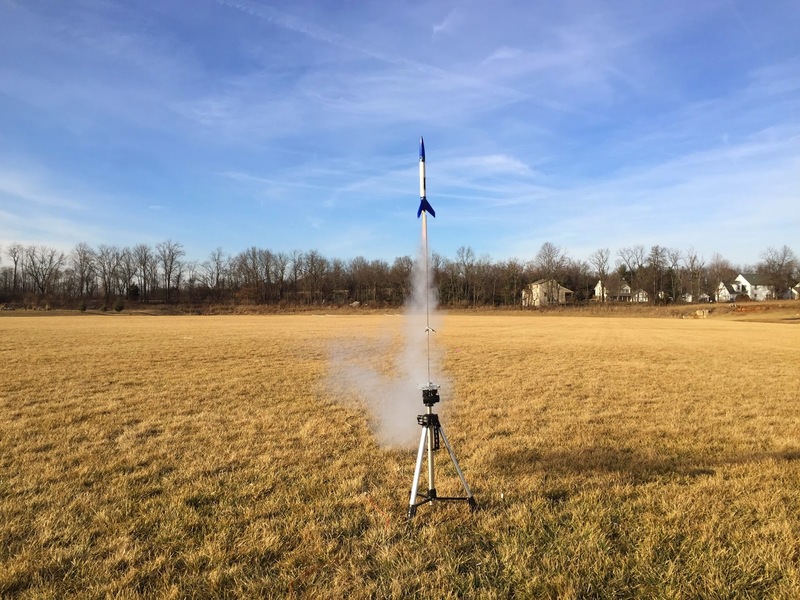 It's still pretty new, but promises to cover a lot of aspects of hobby rocketry - from low power model rockets to high power. If, like me, you're both a podcast junkie and obsessed with rockets, it's the perfect combo. Anyway, if you get your motors through brm.therocketryshow.com, part of your purchase will help support The Rocketry Show. I also got some more rockets in the mail today. I know - I have way too many. But my parents had given me a $50 gift card to Estes for my birthday. I'd just bought a ton of Estes rockets. I really wasn't sure what I'd use it on. Then, Estes had a repeat of its holiday sale. Since I'd lost the Cosmic Explorer, I got another one of those (I need backups, guys! ), plus a long two-stage rocket called the Air Commander. I'd turned my nose up at that one during the holidays, for whatever reason. I decided this time to just get it. I had to spend $49.99 for free shipping. I nearly bought the 4-rocket PSII bundle again, just so I'd have plenty of them to potentially screw up building or lose in flight, but I went a different route. I got one that was not on sale - really, I wanted the free shipping. 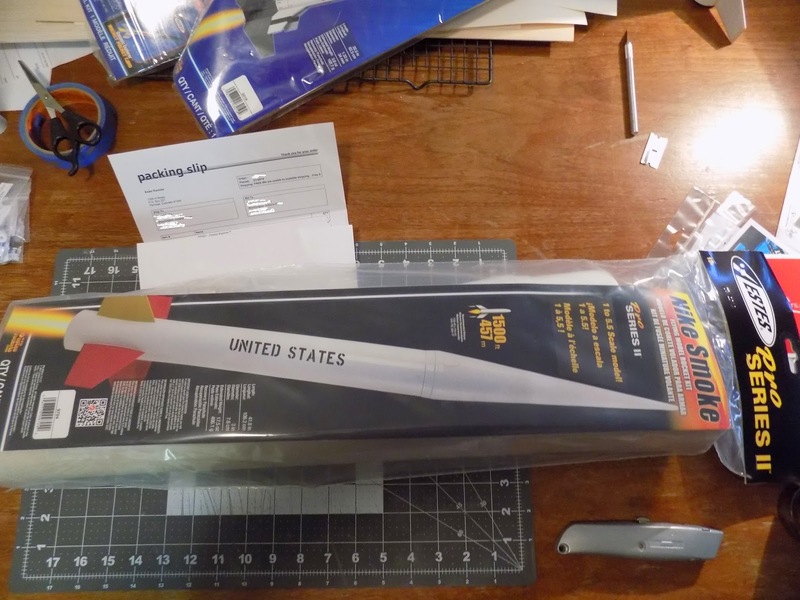 I ended up getting something I'd had my eye on for a while - the Nike Smoke, a 1:5.5 scale model of a NASA sounding rocket. It's a nice-sized rocket with a nose cone that's nearly the length of the airframe. I also picked up a replacement parachute for Der Red Max. That chute has taken quite a beating. Since the Nike Smoke has plastic fins which are pre-beveled, it should take me a lot less time to build. I cannot stop myself from shaping the fins at least a little to improve aerodynamics, and I can't keep myself from filling the wood grain on wooden fins. This makes my builds take more time than they might. I was about set to start building the Nike Smoke right away, when I noticed that one of the plastic fins was deformed. The lower corner of this fin is round. It's supposed to be pointed. This is a molding error. I emailed Estes to find out what to do about this, but it was late on a Friday. So I assume I won't hear anything until Monday. Bummer. I'd like to start this rocket. But I guess I'll have to wait. Well, hopefully I'll feel better soon. My fever seems to be gone. And I've got to go back to work. Plus I'm directing a show at the Bloomington Playwrights Project, so that's going to take up some time and energy. My fleet has grown smaller. 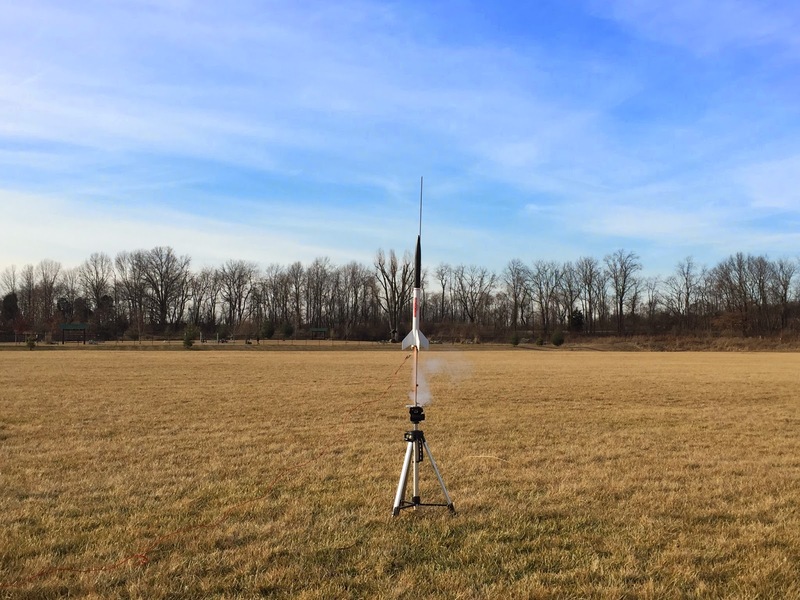 On Wednesday, Chad and another friend - Jeff - and I launched some rockets. It was going to be either Wednesday or Thursday, but the weather looked bad on Thursday, so we had a small launch window. Unfortunately, while the winds seemed light, they were stronger than I thought, especially at altitude. This was my first loss. 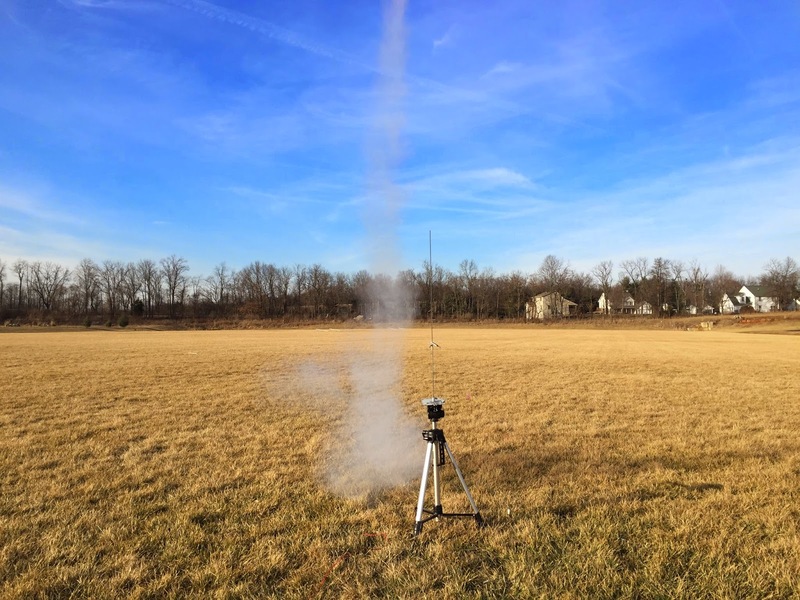 Losing rockets is an inevitable hazard of rocketry, but this was my first, and man, was it a bummer! But I learned a couple things on this launch. The first is Check your Go Fever. If the winds look bad, you don't have to launch. The second is that Chad is a terrible videographer. The footage of the launches is terrible. If my girlfriend had been in town, I'd have some spectacular footage to show you. Fortunately, Jeff got some good pictures. Chad, as I've reported here before, has lost most of his rockets, and I think he was secretly happy this happened to me. I was actually glad he was there to witness it, so he'd stop whining "Oh, I'm Daniel, and I never lose rockets!" I'd brought all my bigger rockets, including a few I'd never launched before. Once I noticed it was a little windy, though, I had to make a decision what I was going to try to launch. I was not about to go with the Quest Quadrunner, after all the trouble I'd gone through building it. And replacing it would cost me nearly fifty bucks. The first loss was the most painful. It was the just-built Cosmic Explorer with an E motor upgrade. On the left: my original Cosmic Explorer which can only hold up to a C motor. I knew this was a risk, with a bit of wind. But I'd gotten one of the fins on slightly crooked, and had a little problem with the paint job. And I have two more of them I can build, so I said "screw it! Let's launch this sucker!" The first thing that happened was that my launch controller wasn't working. I gave it a little shake, and heard some rattling around inside. "That doesn't sound good," Jeff said. I'm not the best at soldering... Fortunately, I had my Estes launch controllers with me. No way to do a cluster launch with that, but I was nervous about those rockets anyway. The flight was amazing. About 1800 feet or more, straight up. That E9 black powder motor made a huge sound (E is all I've gotten up to at this point, so I'm still impressed by it), lots of smoke, and the thing just soared. But then, there was no tracking smoke, and after a moment, we lost sight of the rocket completely! Then, for a second, we caught sight of the parachute. It was so high up and so tiny that I thought it hadn't opened all the way. But it had. 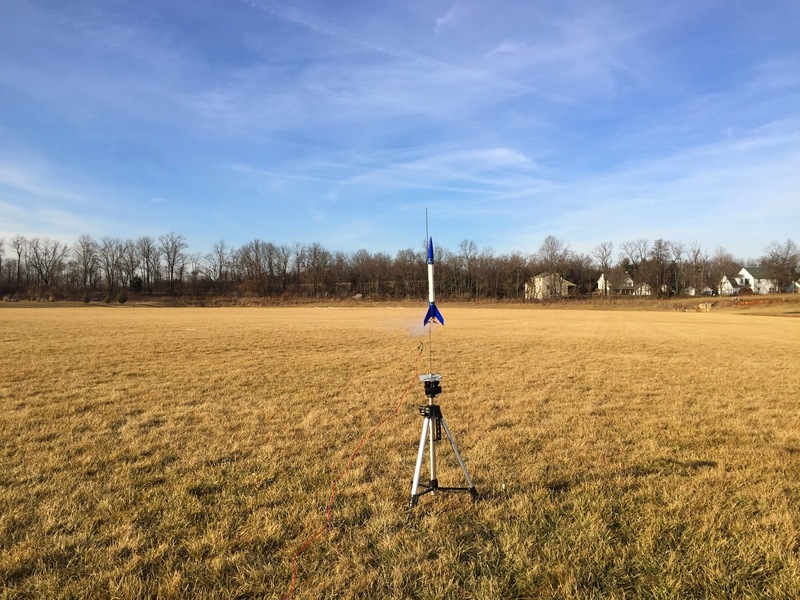 1800 feet might be a low guestimate, and I'm basing it on my OpenRocket simulation. The Cosmic Explorer has a big red parachute, and it was so far away. After a second, I lost sight of it again. We kept searching the skies for it, and it just vanished. It had headed northwest, but that's all I knew. If it had crashed to the ground, or gotten stuck in a tree, I'd have been sad about that, but the fact that it simply disappeared was... I don't know. I just wanted to know where it had gone. OK, I knew launching the Cosmic Explorer might be a bad idea. But I decided to keep going. Go Fever. Next I put the 3D Rocketry Nautilus II on the pad. This, I thought, would be fine. We have a large flying field, the Nautilus II is fatter and only takes a D motor, and it has a smaller parachute. Besides, it had suffered some major fin damage on its first flight, so I decided to press on with it. Again, the flight was awesome. Much straighter than the first time I'd launched it, and very high - though not out of sight. As soon as the chute opened, I thought, oh, no... It's going to go over the trees at the end of the field! Then, instead of going over the trees, the Nautilus II landed in the tops of them. "Rocket-eating trees" are a commonly mentioned hazard in rocketry, and Chad is the Charlie Brown of rockets, but this was my first loss to the trees. And this is a good, open field, so it's not a huge risk here, but it happened. The only trees to worry about are at the north end of the field. Chad ran to see if he could recover the rocket. There it was, tantalizingly dangling from the very end of a thin, outer branch. If the wind changed direction, it might have fallen right out, but the wind was holding the rocket securely on the branch. I decided to try one last thing. I had the Estes Athena in the bottom of the box. This is a ready-to-fly model I got for $7. I thought If I can get this back, maybe I'll continue launching. If not, I didn't build it, so I won't be sad about it. I tilted the pad slightly into the wind, so that it would fly less high, but possibly come back and land on the field. All rockets turn somewhat into the wind. For n00bs, this is referred to as "weathercocking." It happens whether you want it to or not. 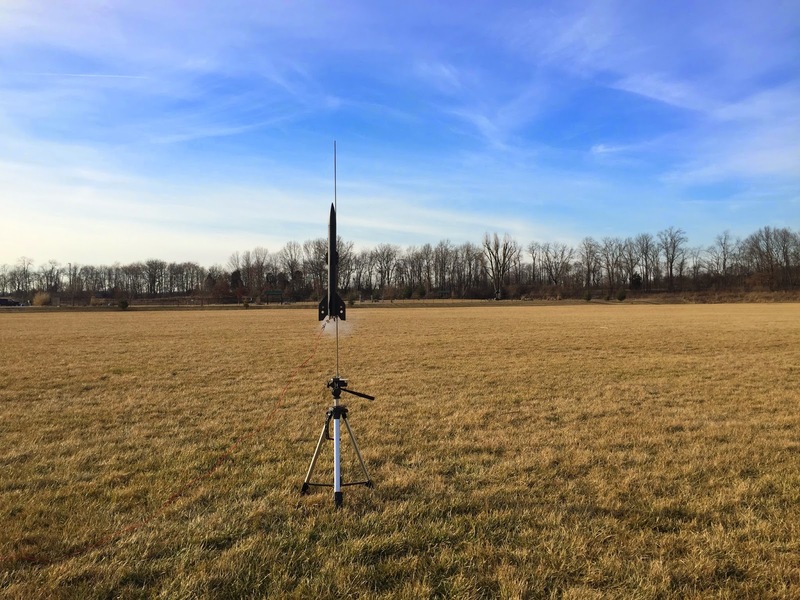 But you can take advantage of it - you can tilt into the wind, and have the rocket return closed to the launch area, or tilt it slightly with the wind, and the rocket will straighten up as it weathercocks, and achieve a higher altitude than it would if launched straight up in windy conditions. It did weathercock into the wind, and I had hope of getting it back. But the chute opened, and we saw it streak across the sky - the wind must have picked up a lot! It moved so fast, it was like watching Sputnik cross the night sky. It flew over the trees at the end of the field, right over Chad's head, and disappeared. Chad and Jeff had to leave, and I spent the next hour and a half hiking corn fields looking for the Cosmic Explorer. It had traveled northwest, so I felt I had a good chance of recovering it. I walked up the hill to the trees and saw the Nautilus II dangling from the branch. 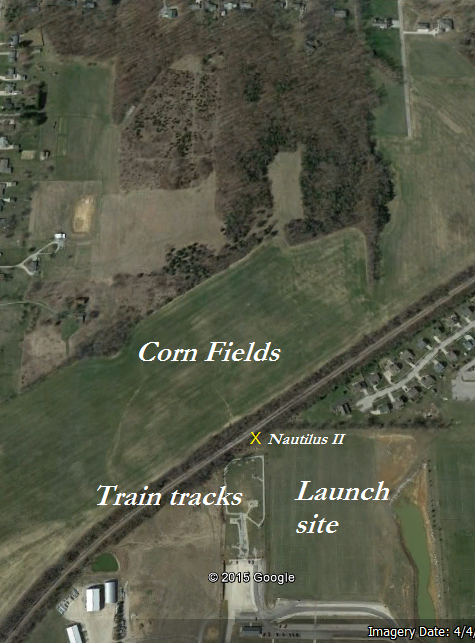 I had to cross some train tracks and find a way through the thick brush to the corn field. I walked the whole thing, and up into some grass and woods. Eventually, I realized I shouldn't spend a lot of time hiking around on someone's property, so I hiked back. I kept thinking I saw it, but it kept turning out to be broken corn stalks gleaming in the falling sun. In any case, I never saw that red chute flutter in the breeze. I realized that thing could have gone for a mile or two! Or it could have landed somewhere where I couldn't get to or just didn't notice. It was only after searching for the Cosmic Explorer that I realized how bummed out I was to lose it. I only got to launch it once, I thought. You can launch any rocket once. The trick is launching it more than once. I drove back the next day, hopeful that a change in the wind had knocked the Nautilus II from the branch it hung from. Instead, it had become more tangled, and on this day it twisted in the breeze. Today, it's raining pretty hard, so even if it eventually comes down, it will probably be ruined. So, I lost a few rockets. But when I got home that night, I started fiddling around with OpenRocket. Out of curiosity, I wanted to see how quickly I could design a little rocket for altitude and speed, using just an E motor and parts I already had. In about twenty minutes, I came up with a design that should top 2600 feet and go Mach .58, or 3500 feet at Mach .61 if I add a D motor booster. I called it Sounder I (for now), and I may lose it, but it was easy and cheap, and it's kind of an experiment. I'm mostly interested in building larger rockets, but I wanted to play around with a simple, high performance design. I started building it the next day. Sounder I sustainer, nearly done. I built this in an evening. I also started building the first scratch design I came up with months ago, a 3-motor cluster called the Trident A. So, I'm replenishing the fleet.